This year’s National Television Awards shortlist has been announced. The NTAs are fast approaching, in which hundreds of stars come together to celebrate the very best of British television over the last year. National treasures Ant and Dec nominated for best TV presenter once again, and this year the duo will be up against much-loved hosts Holly Willoughby, Phillip Schofield and Bradley Walsh. Held at London’s O2 Arena, the ceremony will be hosted by Dermot O’Leary and will air live on ITV on Tuesday, January 23. The NTAs are purely decided by the public vote, which has now opened here. The National Television Awards will air Tuesday, January 23 on ITV. Ant and Dec won their 16th consecutive Best TV Presenter award at the National Television Awards. The pair had plenty of reasons to smile, as they also won Best Entertainment Programme for Ant & Dec’s Saturday Night Takeaway and Best Challenge Show for I’m a Celebrity… Get Me Out of Here!. EastEnders‘ Lacey Turner also picked up yet another National Television Award for Best Serial Drama Performance. Elsewhere, Sarah Lancashire won Best Drama Performance for Happy Valley and Casualty beat Game of Thrones to win Best Drama. Challenge Show: I’m a Celebrity… Get Me Out of Here! 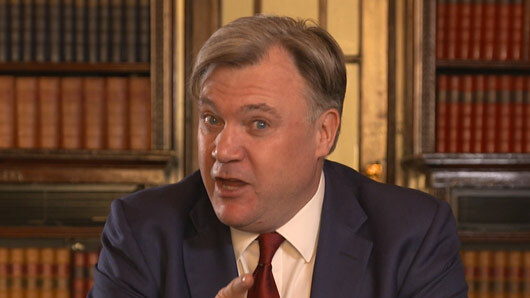 Politician and Strictly Come Dancing star Ed Balls will star in a comedy film for the National Television Awards. In the mid-show video transmission, the Labour politician will front a mock Party Political Broadcast to encourage viewers to get voting in television’s biggest election. The NTAs will air on Wednesday, January 25 2017 and will see Sunday night primetime go head to head as Poldark and Victoria battle for new category Best Period Drama. Elsewhere, The Night Manager will go up against the revived Cold Feet and the US phenomenon Game of Thrones for Best Drama. The Night Manager star Tom Hiddleston will also be competing for the Best Dramatic Performance gong, alongside worthy competition Peaky Blinders‘ Cillian Murphy, Happy Valley‘s Sarah Lancashire and Victoria‘s Jenna Coleman. And as always – Ant and Dec are up for Best Presenter. Television fans can vote for their faves at the National Television Awards for free online at www.nationaltvawards.com or by phone on 0905 647 2017 (calls cost 25p per minute). To watch Ed Balls in action, tune into the National Television Awards on Wednesday night from 7.30, live on ITV. Sunday night television hits Poldark and Victoria are set to rekindle their rivalry as they face one another in the 2017 National Television Awards. The shortlist was announced today and sees the two popular shows compete in the hotly contested new category, Period Drama. Alongside Poldark and Victoria, and definitely not to be discounted, are Call The Midwife, Peaky Blinders and Stranger Things. The nomination for the Netflix hit Stranger Things is the first ever National Television Award nomination for an original programme from a streaming service. The Drama category is also hotly contested, with the popular adaptation of The Night Manager starring Tom Hiddleston up against the renewed Cold Feet and the US phenomenon that is Game of Thrones. Hiddleston is also up for the Best Dramatic Performance gong, alongside Peaky Blinders‘ Cillian Murphy, Happy Valley‘s Sarah Lancashire and Victoria‘s Jenna Coleman. In soaps, EastEnders star Lacey Turner is up for yet another award for her applauded performance as Stacey Slater, who suffered postpartum psychosis at the start of 2016. Hoping to take her on are Coronation Street‘s Jack P Shepherd, and Emmerdale‘s Danny Miller and Natalie J Robb. Of course, there are some categories that might not be quite so highly contested – Ant and Dec are up for their sixteenth consecutive NTA for Best Presenter. They’ll face competition from Mel & Sue, Gary Lineker, James Corden and Rylan Clark-Neal. The final round of voting for the 2017 National Television Awards begins today. Telly fans can vote for free online at www.nationaltvawards.com or by phone on 0905 647 2017 (calls cost 25p per minute). 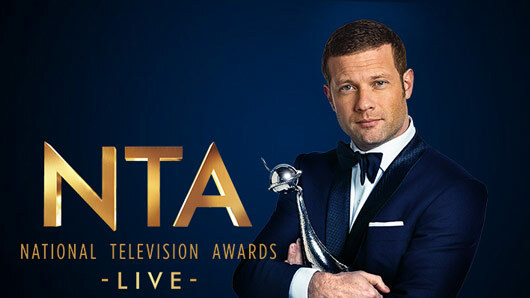 The National Television Awards ceremony will take place on January, 25 2017 at The 02 London, where Dermot O’Leary will host. It will be broadcast live on ITV.